Neue Grafik - I Miss Something / Bed Stuy's Mood. Vinyl EP. Bleep. 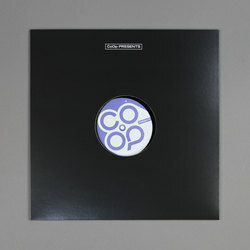 Neue Grafik follows up some impressive records on labels like Rhythm Section International and 22a with an EP for CoOp Presents. The French producer comes through with two originals here. ‘I Miss Something’ and ‘Bed Stuy’s Mood’ are both jazz/deep house crossovers of the Henry Wu/Al Dobson Jr. school. The four remixes which flesh out the release all put a different spin on that same vibing, shuffling club sound.